Some blog owners make it super simple for me to grab the post and print it out. Other’s don’t. When they don’t it means that I have to copy and paste into a text file and spend time removing stuff. That’s time that I could have spent leisurely digesting the info with my pink highlighter in hand. To make it easier for readers to save your content and print it out you can add a print plugin to your site. 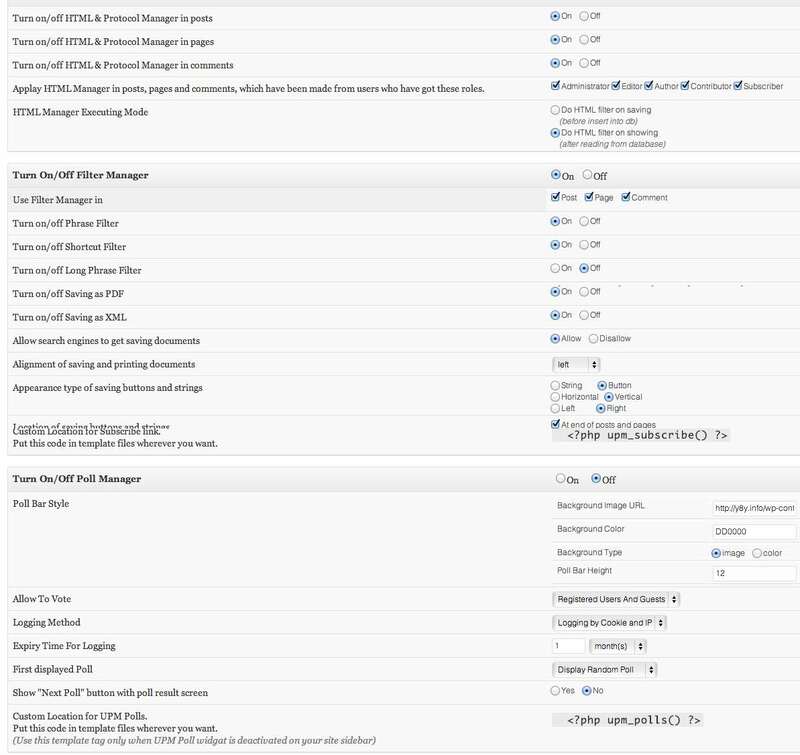 All the plugins listed below are free in the WordPress repository and I’ve tested them all out using the Twenty Thirteen theme and WordPress 3.6. I should also mention that the top 7 of print friendly WordPress plugins does not include plugins that you can use to turn your posts into a pdf and focuses on printing only. One of my favorites. Just install it and activate it to use. You can go to Settings/Print Friendly & PDF to customize the icon buttons and text, color, size and positioning. 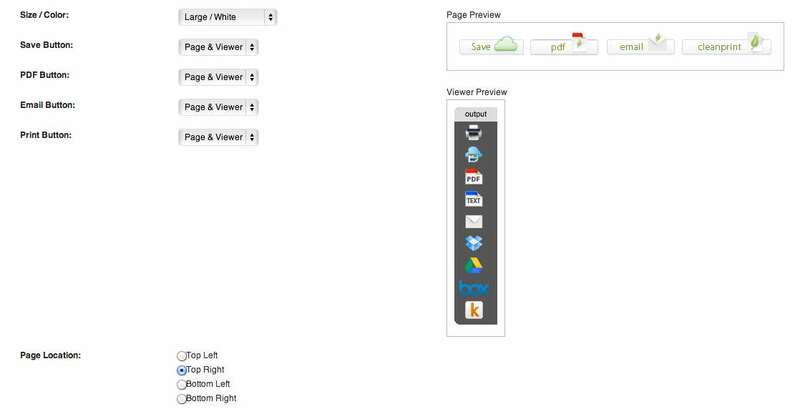 It’s a great little plugin that gives the visitor the option of printing, creating a pdf or emailing the content. The only downside for me is that it doesn’t include comments. Sometimes, I find the comments very worthwhile and worthy of swiping as well. This plugin is packed with features! Not only can you print the post but you also can choose to have options of downloading the post in pdf, xml, doc or html format as well! 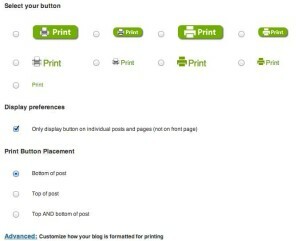 In addition to the printing features you can also turn on social sharing and polls. 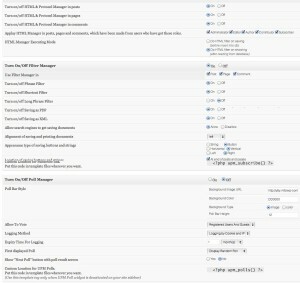 Once you install the plugin you will see a new menu called Post Manager where you can customize the settings. If you elect to use bookmarks and social sharing you will be able to choose from a range of icons or upload your own. This plugin has very little to customize. 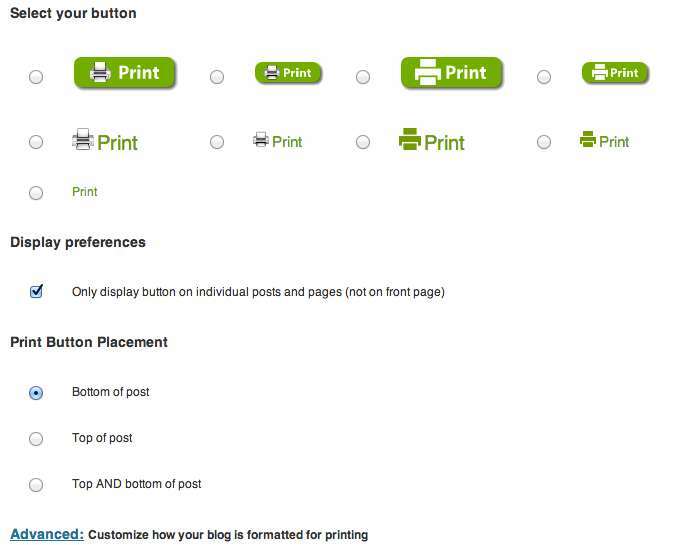 You simply have the choice of having a print button on posts, pages or both. That’s it! You will then see a cute little printer icon at the end of each page/post. This plugin adds an icon to all posts which links to Print-Friendly page with a content of the post. 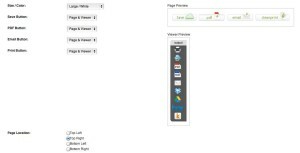 This plugin is very simple to use and very easy to modify, so with a little bit of coding skills you can customize a look of the Print-Friendly page. Once you install and activate the plugin you can customize it by going to Settings/PrintWhatYouLike. You”ll find that you can customize the look and display easily. Advanced users can also customize the way their blog is formatted for printing. For use with the Genesis theme framework only. Optimized: Saves You Printing Ink & Paper ? This small and lightweight plugin adds a printer-ready stylesheet file (print.css / print-html5.css) for the Genesis Framework and its currently active child theme. Any unneeded site elements will be removed, such as main and sub navigation bar, sidebar, footer widgets, form input fields to name a few. For most use cases and most existing/ regular Genesis Child Themes this should work really fine! NEW since version 1.5.0+ For fully custom styles or additions just have look at the FAQ section here. ? It is now really easy to handle and complete update-safe! Credit where credit is due: The first plugin version was based on the work of Ramoonus and his plugin. .pot file (genesis-printstyle-plus.pot) for translators is also always included ? Or follow me on +David Decker on Google Plus ? …was created with love (plus some coffee) on an Ubuntu Linux powered machine ? Hey, come & join the Genesis Community on Google+ ? Enjoy using Genesis Printstyle Plus? Please consider making a small donation to support the project’s continued development. I just wanted to have a special print layout optimized for most Genesis Child Themes – with any unneeded elements removed but still with proper image display (including title tag text!) and proper footer line/copyright included. And I wanted that as a plugin so I could just activate it on client sites or if clients just request an easy-to-use solution. 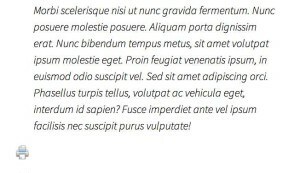 I intentionally used CSS Media Queries because they are made for this case – in combination with the output medium print. 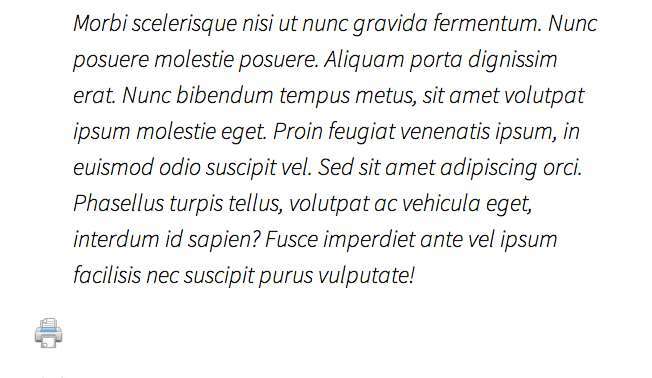 Thanks to @juicedaniel for reporting a CSS3 bug! Thanks to all users that helped with their feedback to improve this plugin, especially the print CSS! ? Simple to use plugin with basic features. Although the plugin works perfectly you can’t help thinking that compared to some of its stable mates it’s a bit lacking. The two areas that I feel could do with improvement are some default icons and the ability to easily add your own icon as well as more control over the positioning of the icon/text. 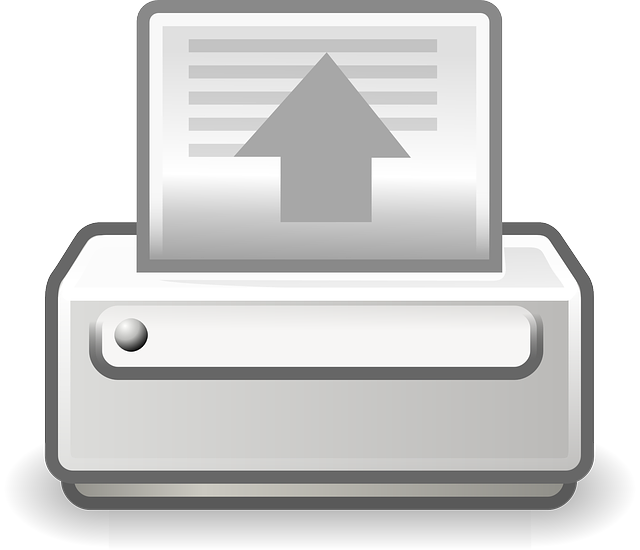 By pressing this button the content of the page will be displayed in a print-friendly mode and allows the user to print it. There are quite a few other printing style plugins that I also tested – sadly they didn’t work 🙁 Hopefully, developers will release new versions in the future.